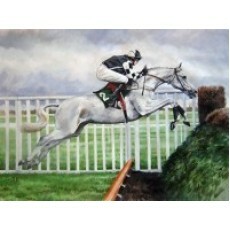 This picture if mounted and framed in a silver frame and is stunning. Further details e-mail or call. would be sent next day delivery or could be collected or delivered within a 50 mile radius of R & J Equine.